A spacious suite with a luxurious bath, handsomely furnished with selected mahogany pieces from the Gibbard Company of Napanee Ontario. 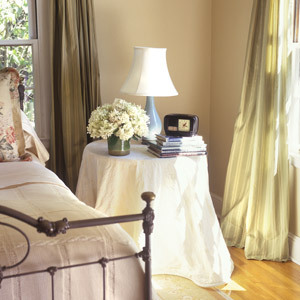 Goose down duvet and pillows rest atop a firm mattress. Impeccable cool FRETTE linens promise exquisite rest. Toasty robes are provided for lounging comfort. The bathroom features a hydrotherapy oval tub and open tiled (spa like) drenched shower. A private balcony offers a refreshing outdoor space to relax. The Armview suite is a generously proportioned suite with an abundance of natural daylight. It includes a bathroom of charming character with full bath and shower. Views of the garden and the Northwest Arm look across toward the Halifax yacht club.